The Cavision 4 x 5.65" Skin Tone Enhancer 2 Filter can be applied to purposely create a warm cast over an entire image. Its effect can be obtained under daylight when this filter is used on a film camera system with daylight film installed, or on a digital camera system with its daylight white balance setting selected. This filter has a grade of 2. A grade of 1 is also available where this filter type's effect becomes approximately half as strong with each grade number decrease. 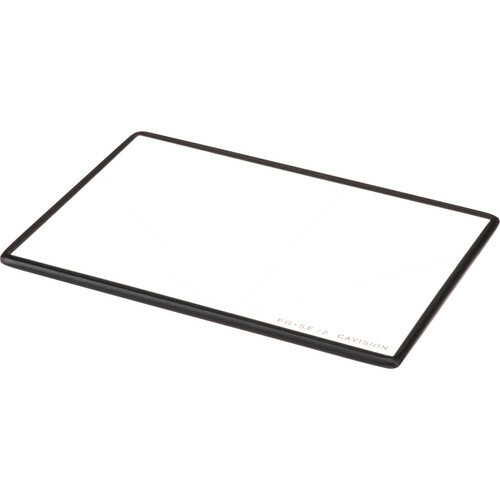 While in use, the Cavision 4 x 5.65" Skin Tone Enhancer 2 Filter provides a one-third of a stop exposure reduction and is compatible with filter holders that can accommodate 4mm-thick rectangular filters. This filter is non-coated and is constructed from optical glass for clarity as well as color fidelity. Box Dimensions (LxWxH) 7.0 x 5.0 x 0.2"